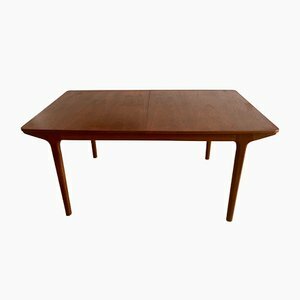 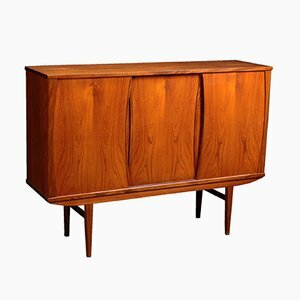 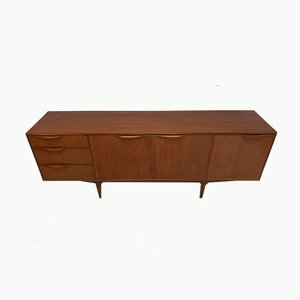 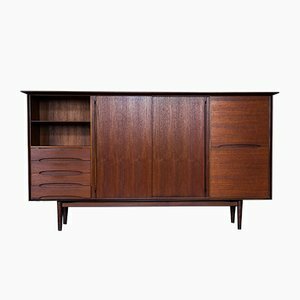 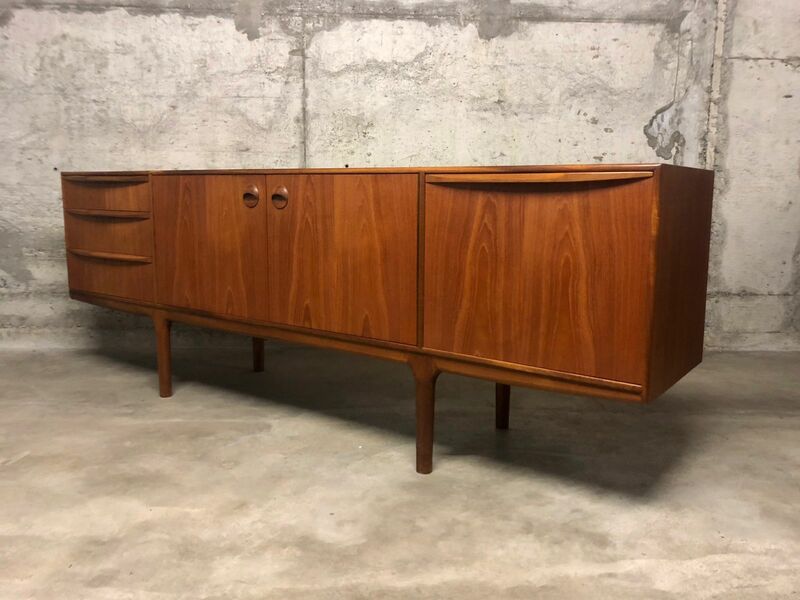 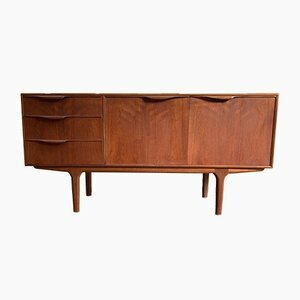 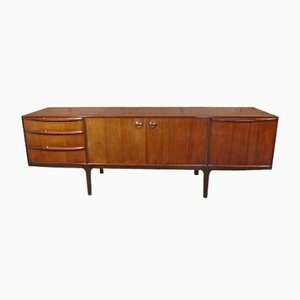 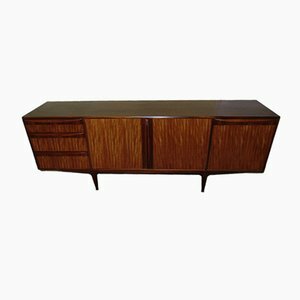 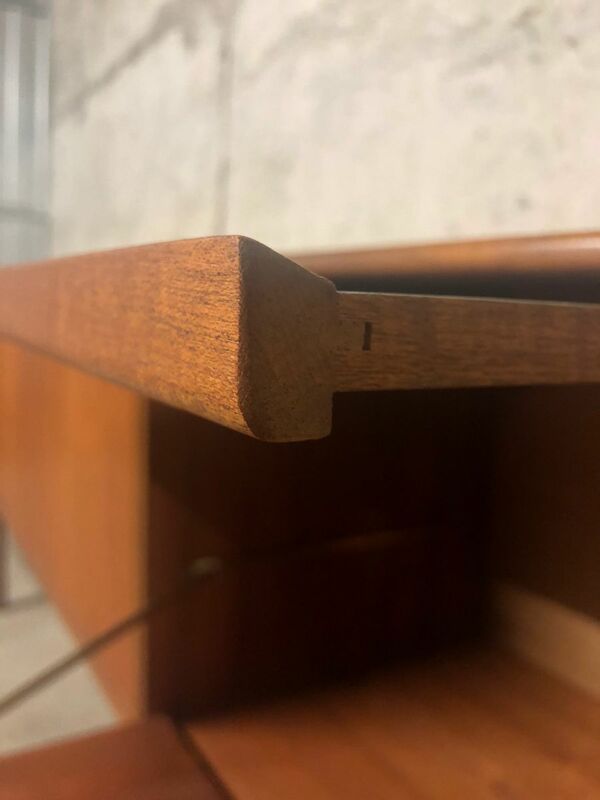 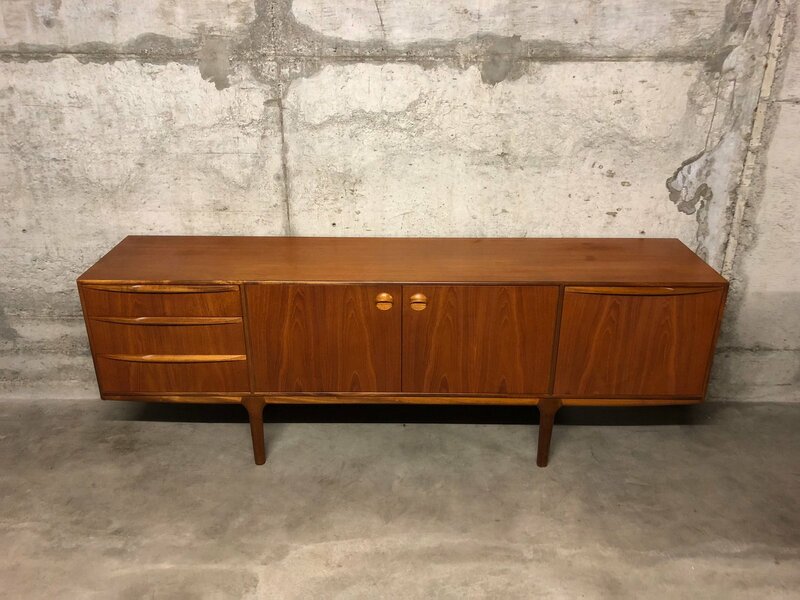 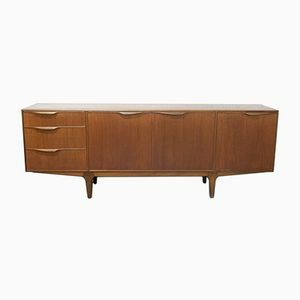 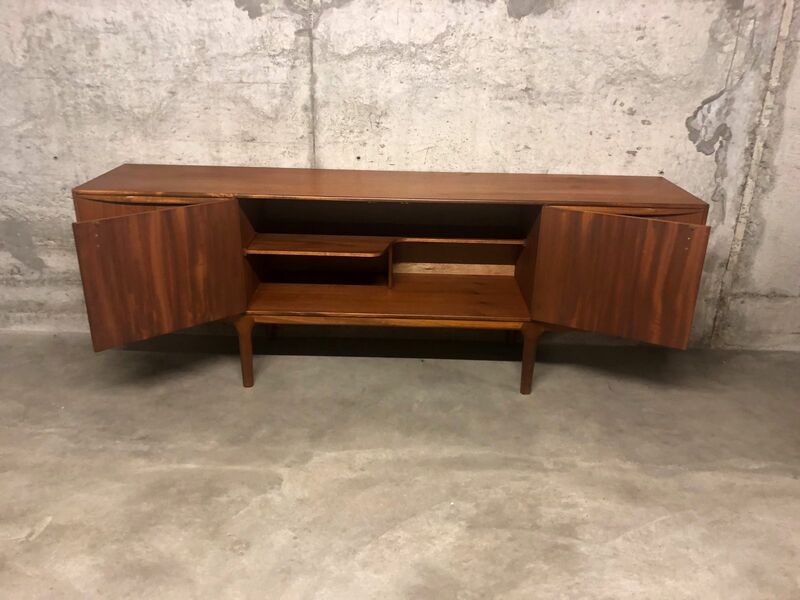 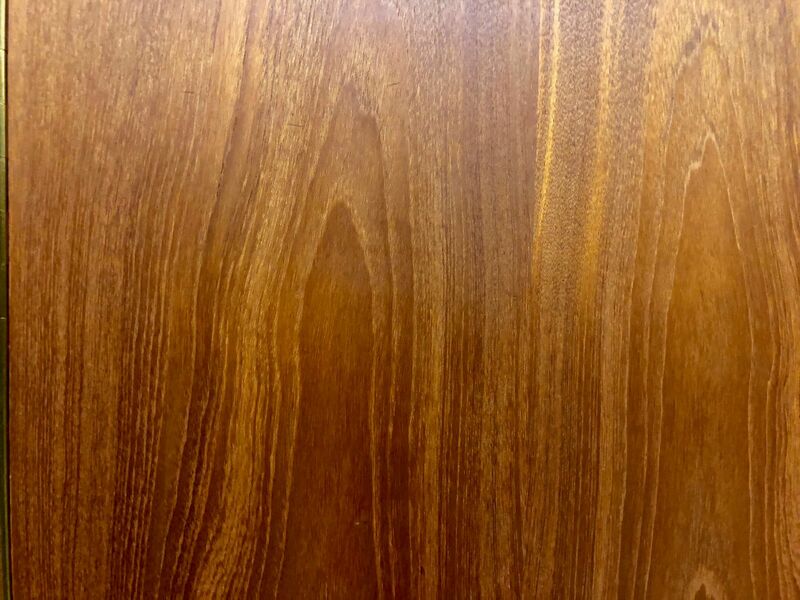 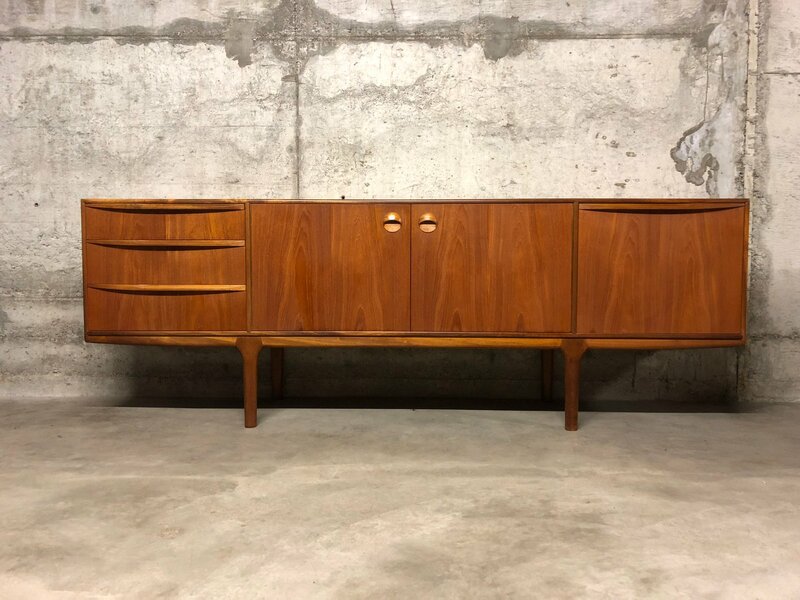 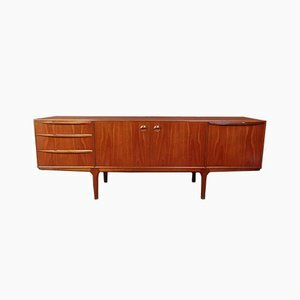 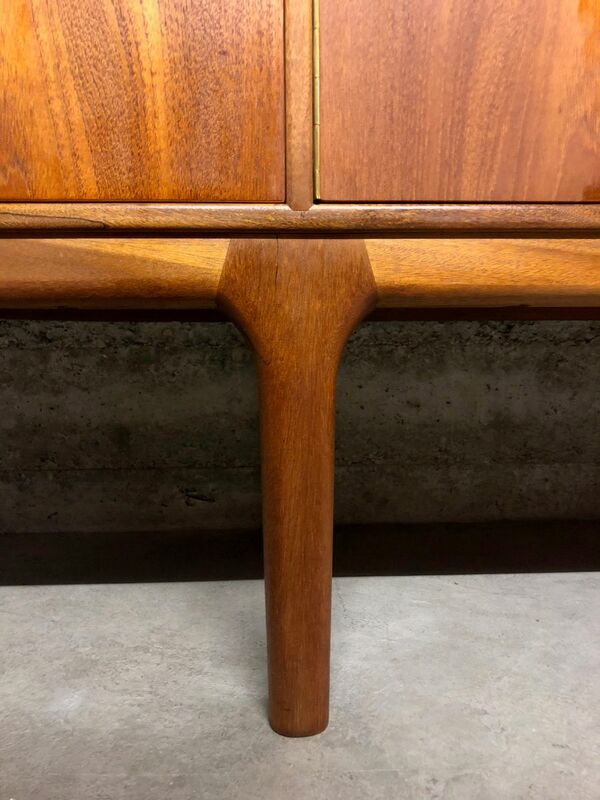 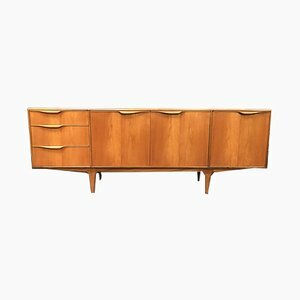 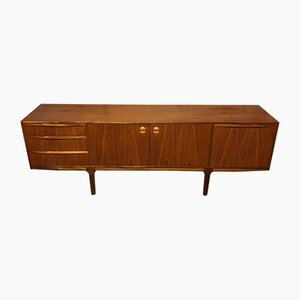 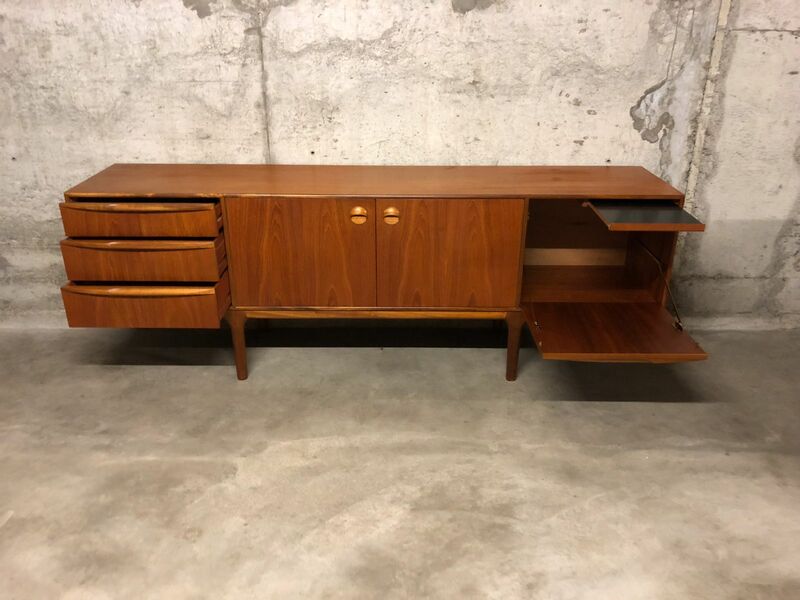 This is a large mid-century modern teak veneered sideboard from the 1960s. 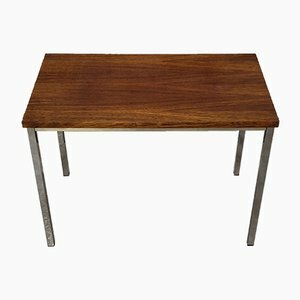 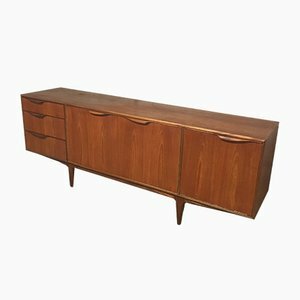 This sideboard stands high on its legs and has three drawers on the left side. 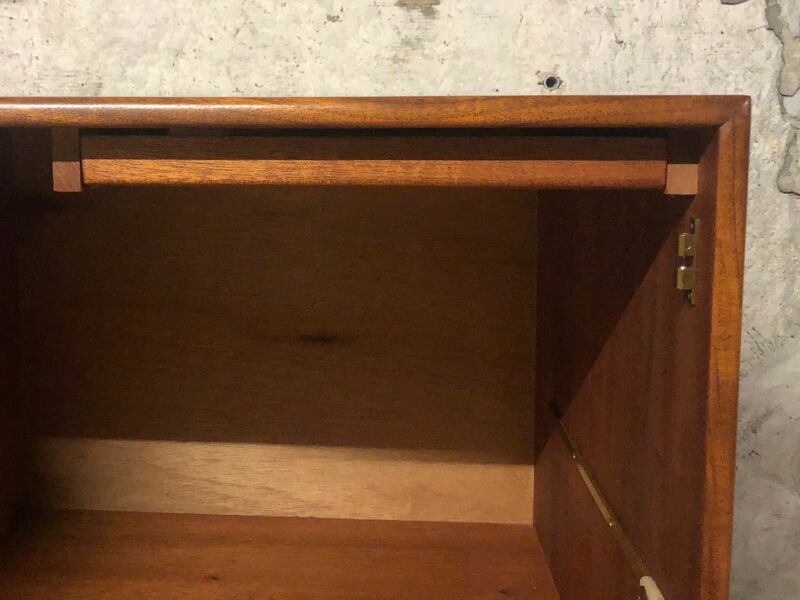 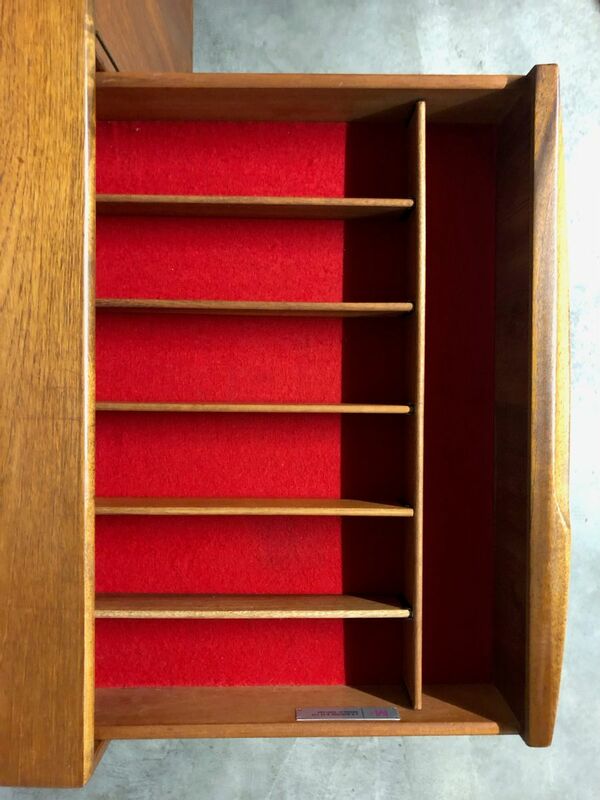 The top drawer is lined with black velvet and can be used for cutlery. 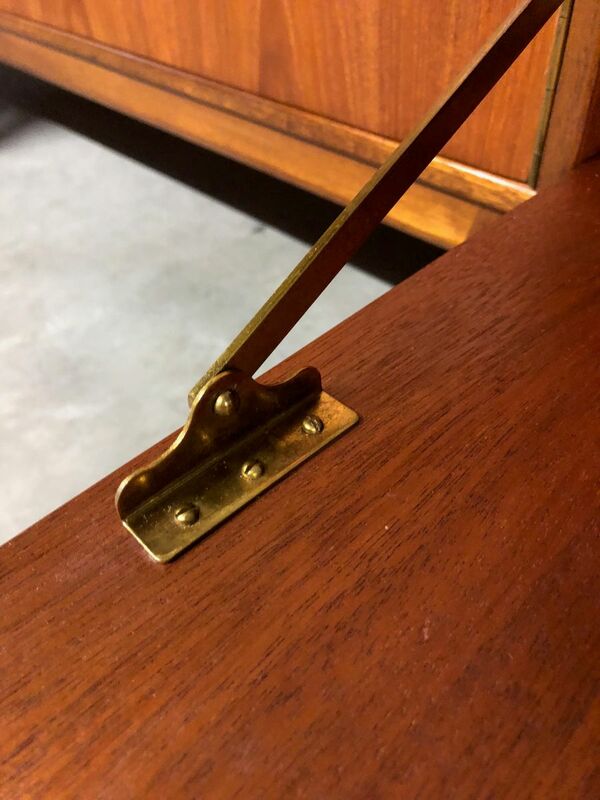 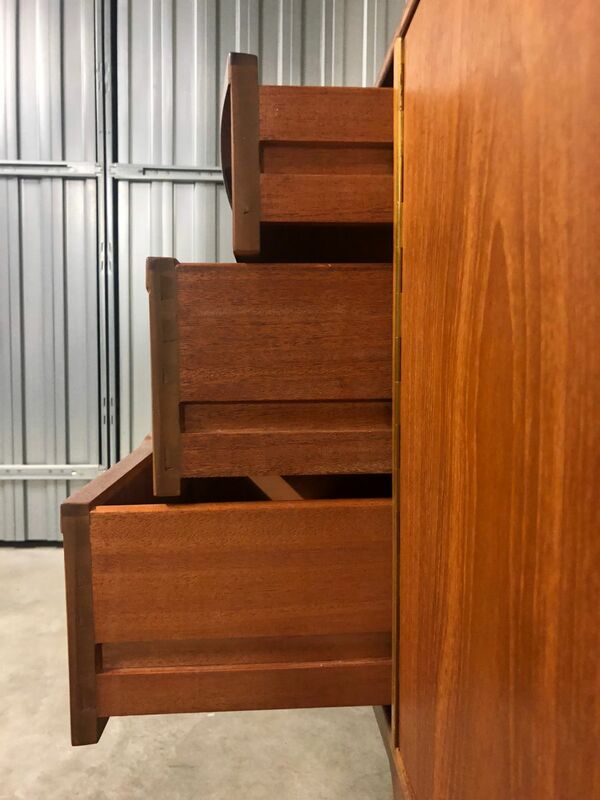 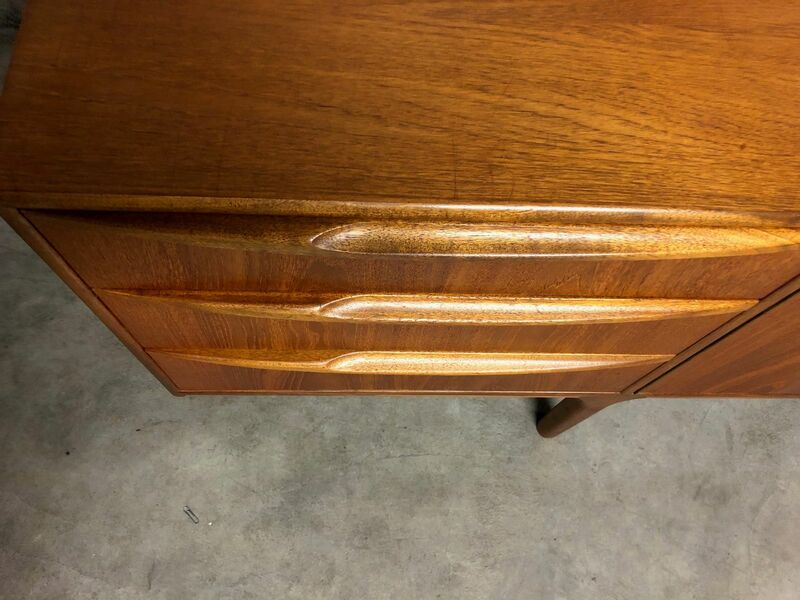 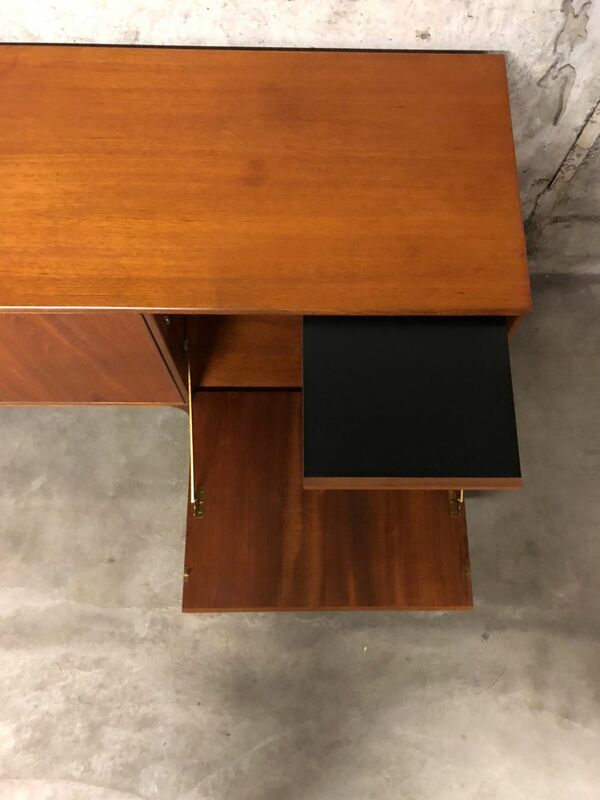 The handles of the three drawers are wide. 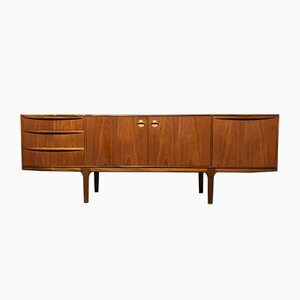 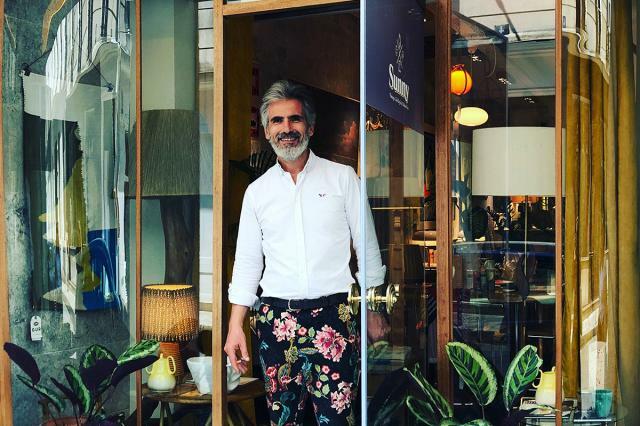 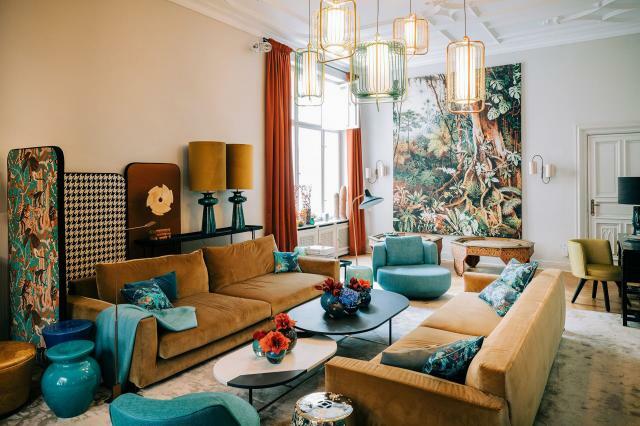 In the middle, this sideboard has two locking doors with round handles. 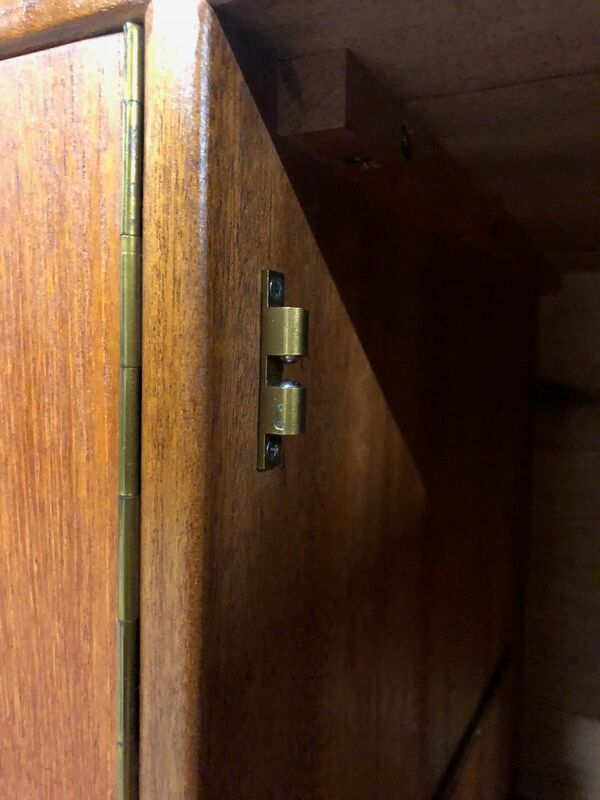 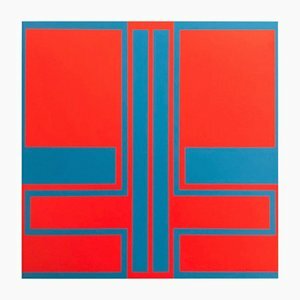 On the right side is a valve door with again a wide handle. 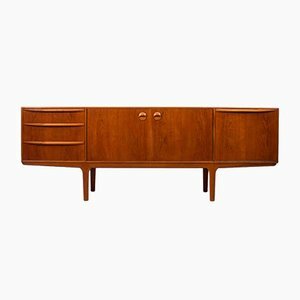 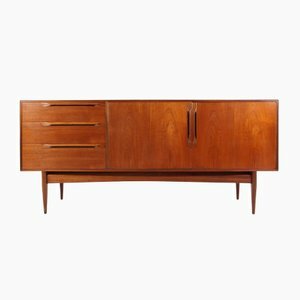 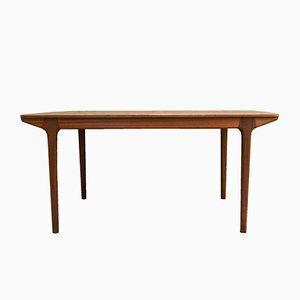 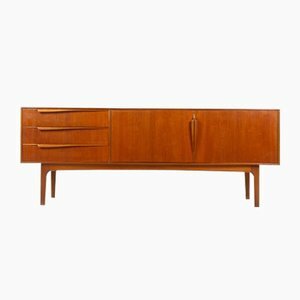 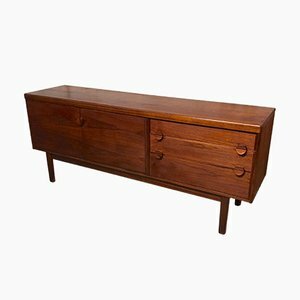 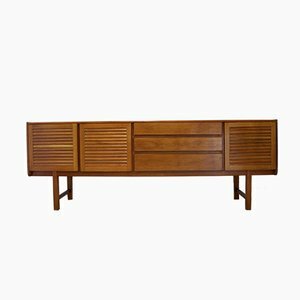 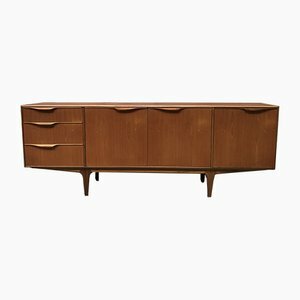 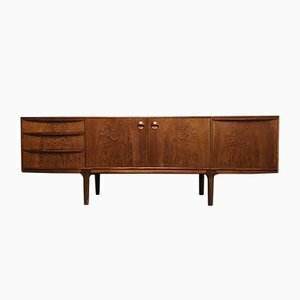 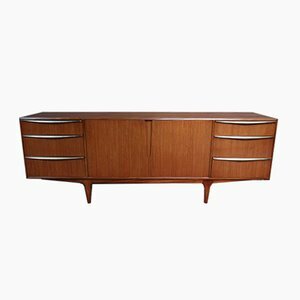 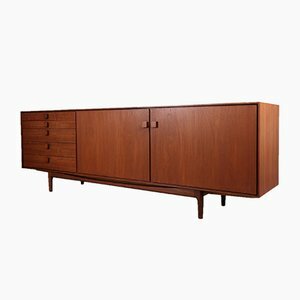 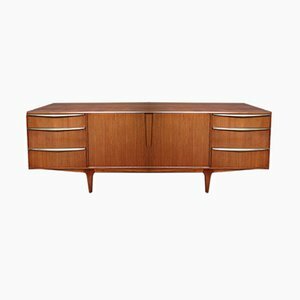 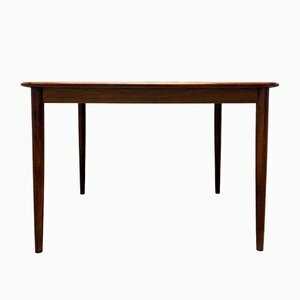 This large low line teak sideboard features two center doors which open to reveal a fixed asymmetrical bar shelf. 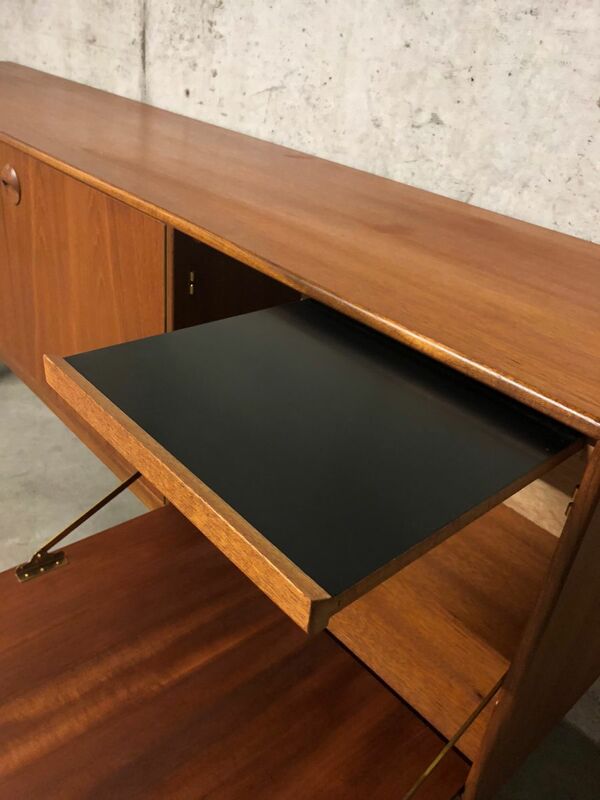 The right bar cabinet drops down to reveal open storage with a black laminate slide out drink tray above. 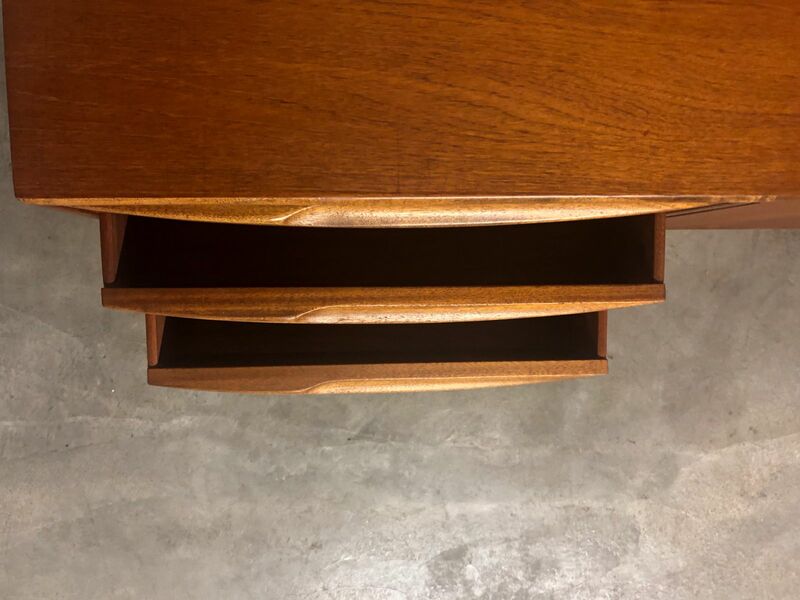 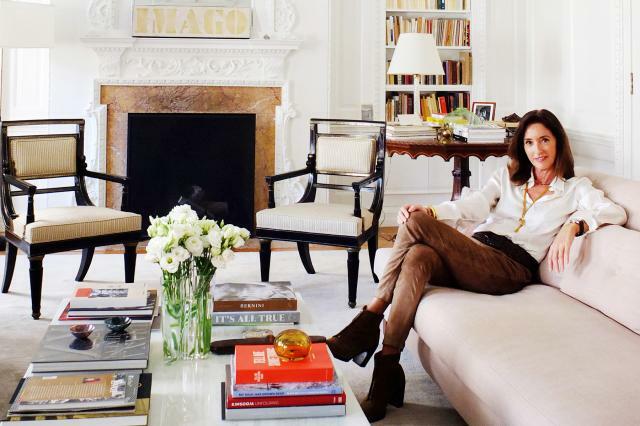 The three left drawers provide additional storage for flatware and linens. 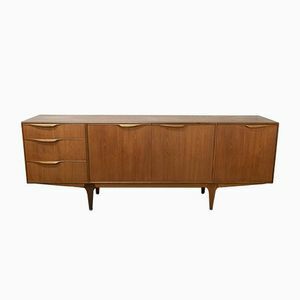 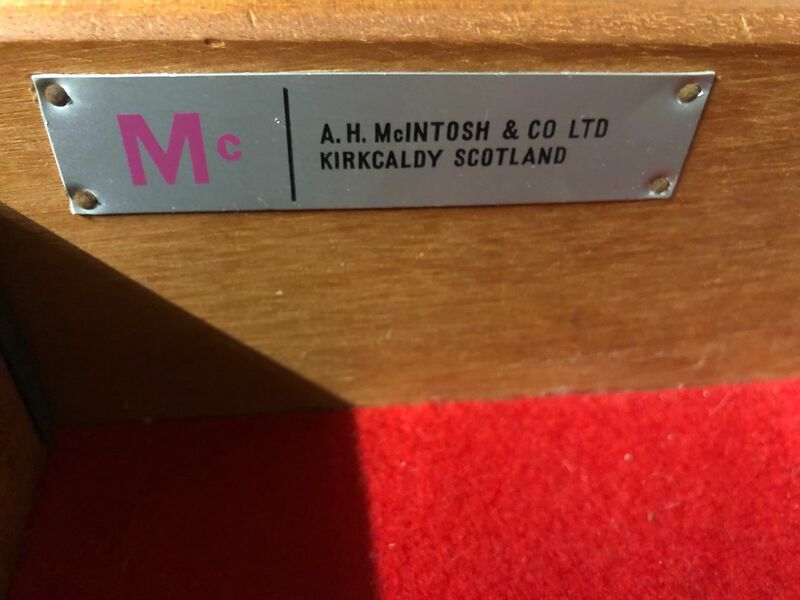 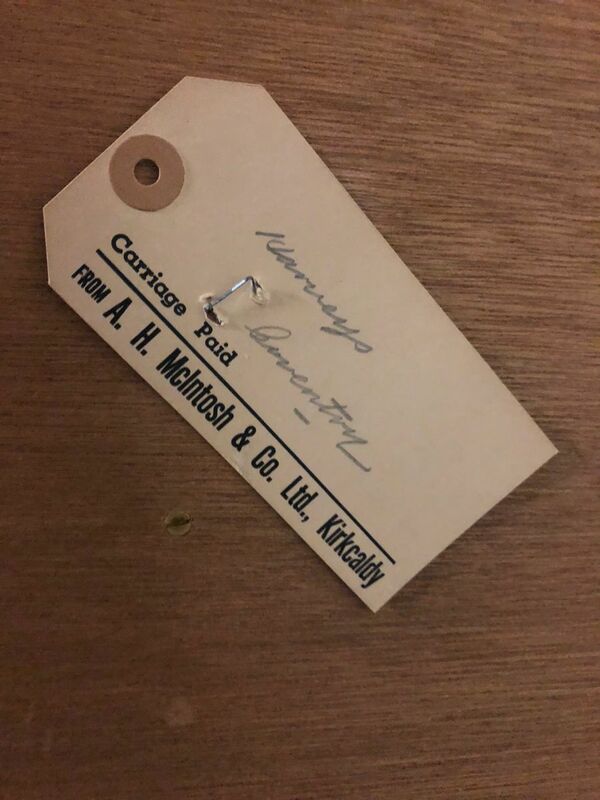 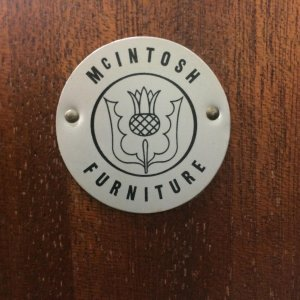 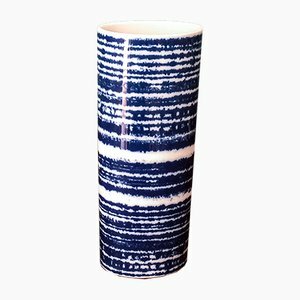 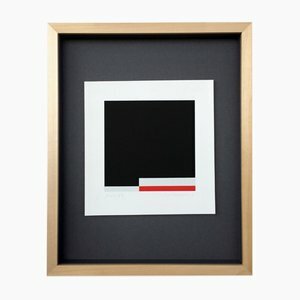 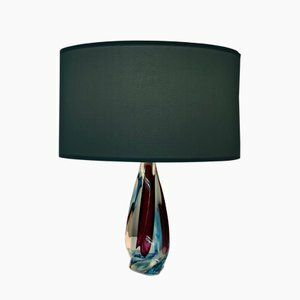 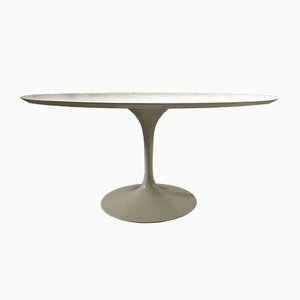 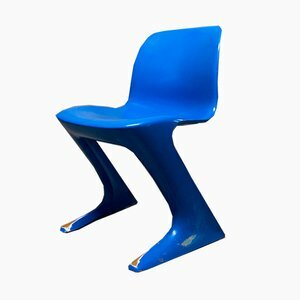 It remains in excellent original condition with typical wear for its vintage.